Includes phone and battery only. No cables or sim card included. 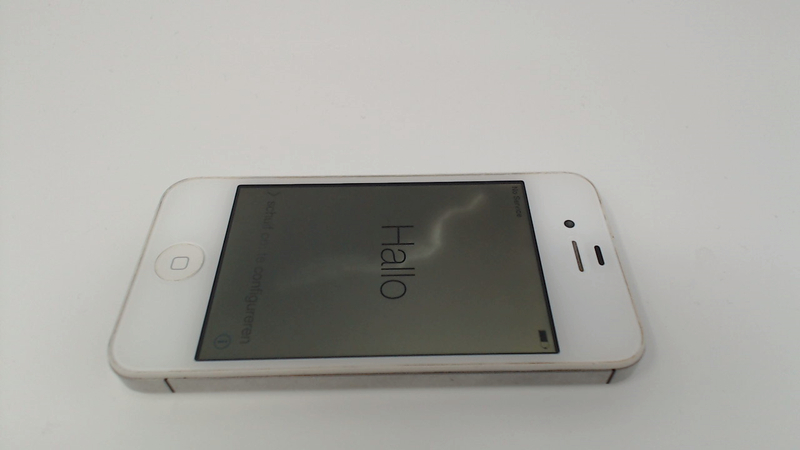 Not iCloud locked. No Applecare. Cellular service locked to Verizon. Bad ESN. The LCD has a large white patch in the middle that may have been caused by water damage - we did not open the phone up to check. The Mute switch works but is VERY finicky - it will toggle back and forth at the lightest touch. There are scratches on the glass front and back. IT works normally other than the LCD and mute switch. CDMA - NO SIM CARD SLOT. 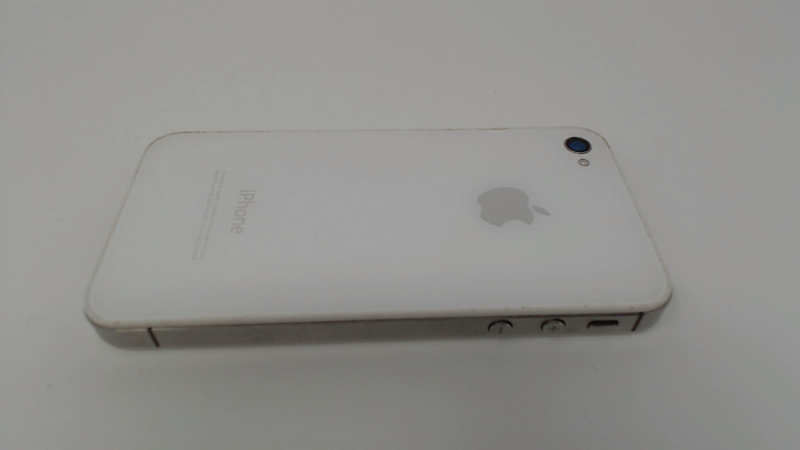 Iphone 4 8GB white.